Everyone has preferences when it comes to pizza toppings. Some people swear by classics like pepperoni, while others love more unusual toppings, like pineapple or even banana. 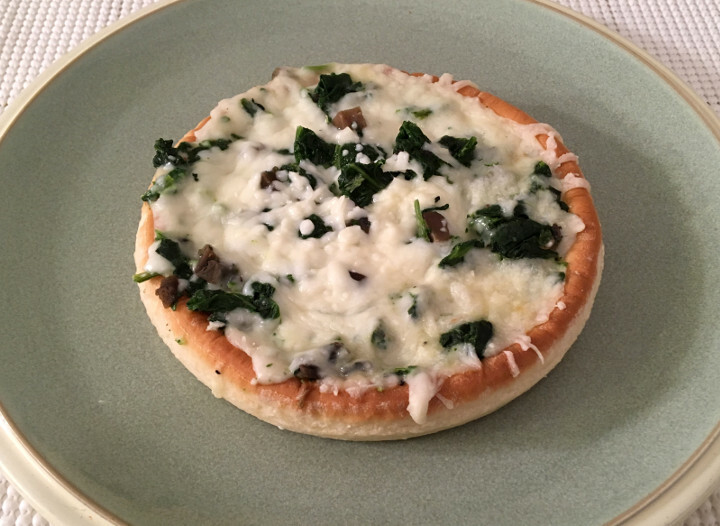 We’ll eat any type of pizza, but spinach and mushrooms are some of our favorite pizza toppings. 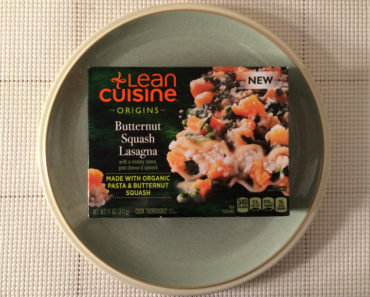 The Lean Cuisine Comfort Deep Dish Spinach & Mushroom Pizza is right up our alley. 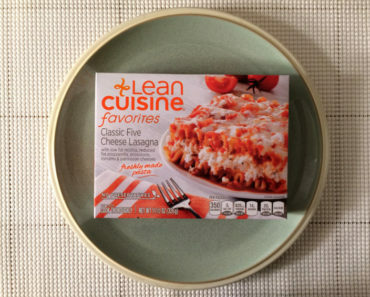 If you’re a Freezer Meal Frenzy devotee, you might recognize this particular pizza. 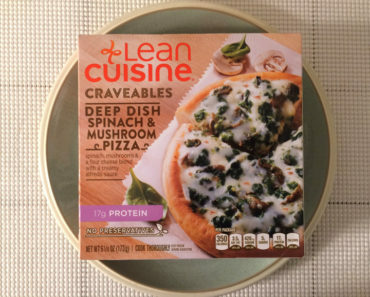 We reviewed it back when it was packaged as the Lean Cuisine Craveables Deep Dish Spinach & Mushroom Pizza. 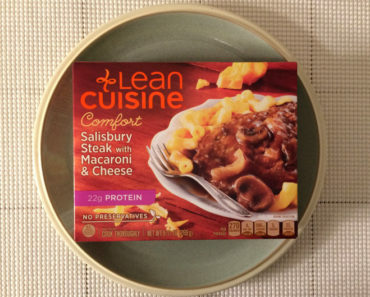 Back then, we said it was “a quick, easy, and appetizing dish that feels like a genuine treat.” We had to know if the new version could live up to that. 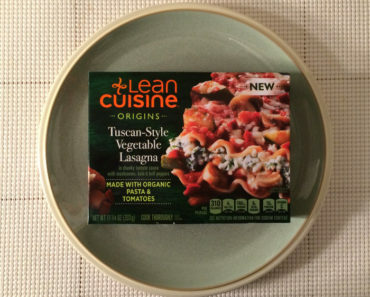 Like all of Lean Cuisine’s pizzas, this one comes with a cardboard tray that makes it easier to heat the pizza in the microwave. Our pizza crust turned out more doughy than crispy, but all of the toppings were cooked evenly. This version is slightly more calorie-heavy than the original pizza; it has 20 more calories in total. However, we wouldn’t say that this version of the pizza is more indulgent. It might have slightly more cheese, but that doesn’t dramatically change the taste of the pizza. This is still a pretty simple pizza with a nice creamy flavor that makes the dish feel more special. We love the combination of Alfredo sauce and cheese! The dish could have used more mushrooms, but the mushrooms that were there were very tasty. 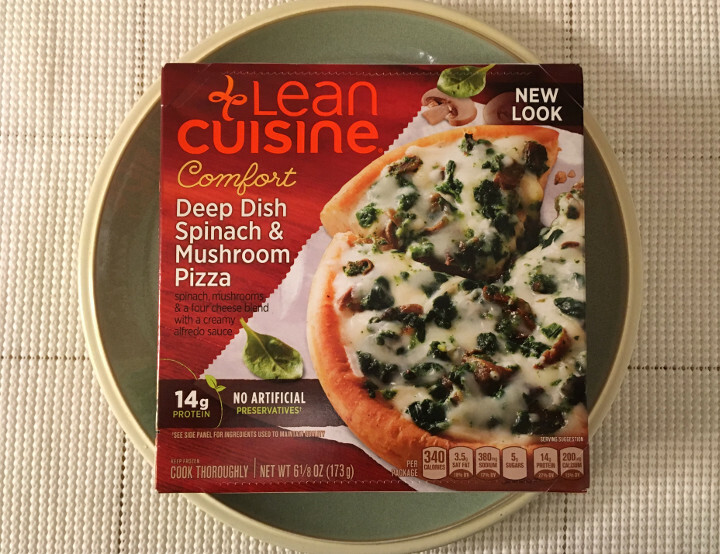 If you liked the original, or if you simply like spinach and mushrooms on pizza, the Lean Cuisine Comfort Deep Dish Spinach & Mushroom Pizza is worth trying. It won’t blow your mind, but it’s a fast and yummy white sauce pizza that can easily be prepared in the microwave. If you’re craving pizza for lunch, but don’t have the time to grab a slice, this is a pretty good substitute. 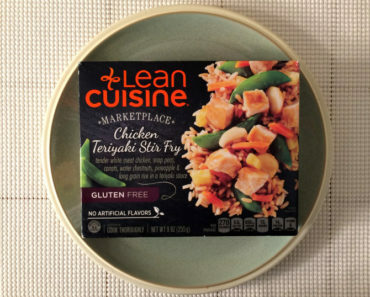 To learn more about the cooking instructions, nutritional content, or ingredients in this Lean Cuisine pizza, check out our package scans below.